A nice, subtle way of letting folks know that you're in recovery. ...just for today! Our high quality adhesive-backed vinyl decals are precision cut right here in our NC facility! Although we are involved with all sorts of vehicle lettering and sign projects, our favorite applications are those that reflect our love for the program! Unlike typical printed oval stickers, we precision cut each graphic from high quality 5 year vinyl. These vinyl oval stickers can be applied to nearly any smooth surface. 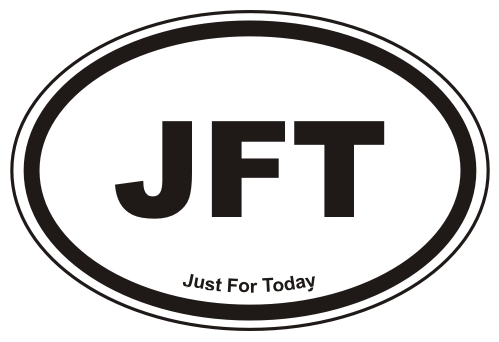 Each JFT Oval Sticker is available in either Black or White Vinyl. ...a nice reminder of our fellowship and the program that offers us our daily reprieve. See just how easy it is to install your new vinyl oval sticker! 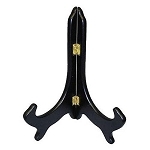 Please contact us for other size and color options.